Over the past weekend, I was blessed with the opportunity to speak on a panel on Branding, at the Dance Critics Association Conference in Vancouver, Canada! It was a wonderful experience, and the other members of the panel were very insightful, and made it a very rich and informative experience for everyone who was there. I wanted to publish a post, here on my blog, touching on many of the aspects I believe are very important, and critical to building a successful, powerful, and profitable brand online. Check out my tips, and feel free to post your questions and comments below. The goal is to create a brand online that matches & represents who you are in person, and the success that you’ve experienced in real life, online. 2) What types of imagery, and photos of myself best represent the mission, vision, and purpose of my brand? Should you have photos with strictly a white background, or should you have photos with a city landscape in the background? Should you have photos of moms with their children, kids playing in a school yard, or of people sitting down in a board room? 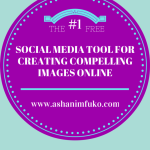 Your images tell a story, so make sure they’re telling the story that you want them to tell. Take time to edit, remove, or update the photos on your website, blog, and social media profiles, to ensure that they represent your brand’s image and message in the best way possible. 3) Define Your Motivation. 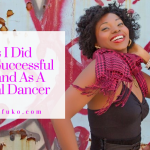 Why did you start your dance company/business? Why are you so passionate about your brand? Think about what motivated you to start in the first place? What was your “A-Ha” moment? What desire did you have? What need in the market did you want to fulfill? This speaks to the core of who you are as a dance artist, and who you hope to become. It’s also connected to your values, which will be a driving force behind what messages you share on social media. Once you know what your motivation is, it’s easier to connect to your mission and purpose. 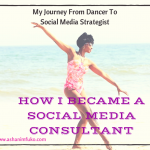 The motivation behind me starting my company was that I really wanted to improve the quality of life for professional dancers, dance teachers, and entrepreneurs. I wasn’t satisfied with the constant struggle, inconsistency, and instability that we all have to deal with in our industry. I was motivated to make a change in our industry as a whole, and for myself. I wanted to meet a need that was there, help you take control of your life and career, and create the financial stability/professional success that you’ve always dreamed of, and that you deserve. 4) Define Your Mission. 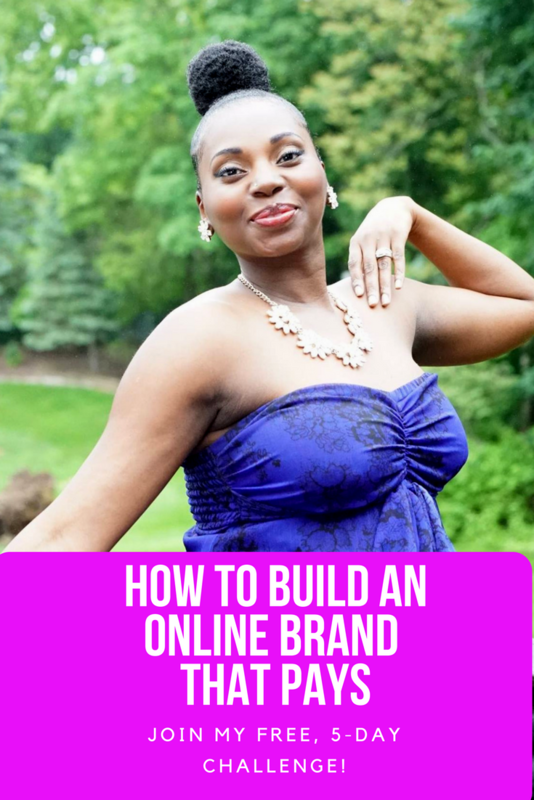 This is a tough one for many people, but it’s something that you should clearly define, in order to have ultimate success in your brand’s online marketing. Your mission is something that should be at the forefront of your brand’s marketing message, and will also serve as a reminder to you, to keep you focused on the true purpose of what you do everyday for your brand. It will give people a clear understanding of the heart behind your personal brand, or business, and help them connect with you on more of an emotional level. 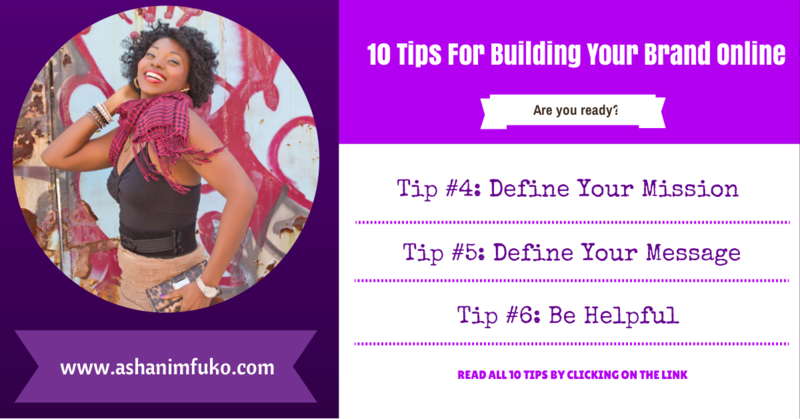 5) Define Your Message (articulate the value that you provide). How will you, as a dance artist add value to people’s lives? How does your service/product enhance the lives of the individuals who use it? How will it change their life for the better? Do you have proof of the value that you provide through testimonials? Clearly define what people can expect from working with you, buying tickets to your performances, or purchasing your product/service. Get them excited about hiring you, attending your dance events, or becoming one of your customers. Your marketing message online should cater to the emotions of your prospective customers/clients,/employers/investors, because people spend their money and invest, for emotional reasons. Basically, people buy with their heart, not their head. 6) Be Helpful – Being helpful through your social media interactions, your website, and your blog, will help you to begin building trust, relationships, and credibility for yourself, and your dance business as a result. I’ve gotten media interviews, job offers, business partnerships, sponsorships, and new customers through social media, simply by being a helpful resource for people. Remember, you reap what you sow. 7) Be Visible – Let people see who you are. Don’t put clip art, or pictures of your dog as your profile picture. Show people who you are, and give them an opportunity to connect with you on a personal level. I recommend having lots of photos online (i.e. on Facebook, Instagram, etc. )), but also, have videos of yourself as well. This helps people to feel as though they are personally, and emotionally connecting with you, even if it’s only virtually. This helps to build trust amongst your fans, followers, and subscribers. They get to see that you’re a real person, and not hiding behind anything. 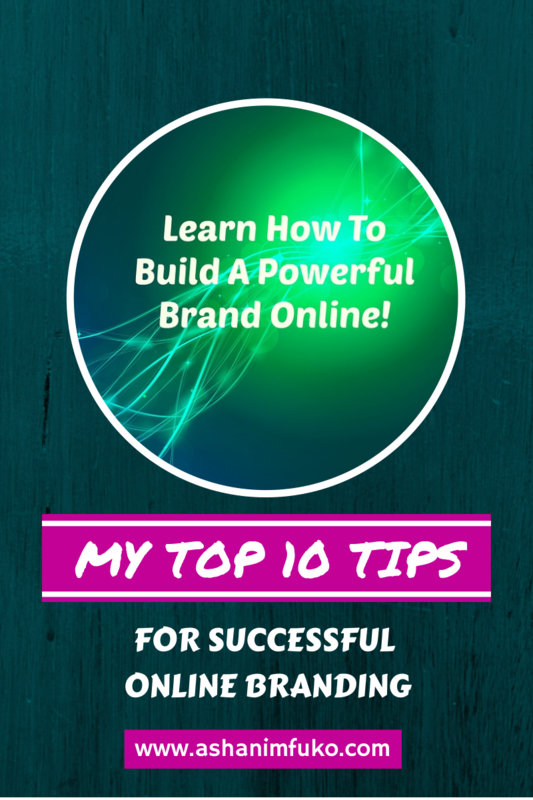 This is crucial to building a successful online brand. My personal brand, and my company’s brand both took off as soon as I came out from behind the veil, and began to show myself to people, and connect with them in a real, physical, and tangible way. 8) Be Consistent. Make sure that your message across the various social media platforms, your website, blog, etc. are all consistent. You shouldn’t be positive Paula on Twitter, and negative Nancy on Facebook. Be consistent. Post updates regularly, and don’t ever drop off of the face of the earth without warning. People become very suspicious when they see that an individual or business hasn’t updated their Twitter/Facebook/Blog for a couple of weeks or months. It’s best to at least post an update stating that you’ll be away for a while, rather than neglecting your social media sites for an extended period of time. Additionally, it helps to have a consistent physical image. Meaning, you should try to use the same, or at least a similar professional, profile picture on different sites. 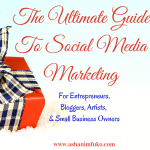 If you own a business, your logo should be strategically placed on each social media network. 9) Create a Hub. 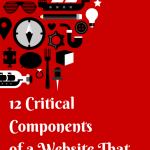 Your hub can be your website, or your blog. But there should be one place where people can go, to learn about you, your brand, or your company. One place that has videos of you, links to your fb, twitter, linkedin, etc, and an opportunity to join your e-mail list. If you’re a dance teacher or professional dancer, you can put your resume, reel, bio, and cv on your website or blog, along with your videos. But you should also have a personal mission statement. Something that allows people to get to know what your passion is, what your values are, and what you’re all about. I’m an advocate for putting this type of message into a video. Even a basic welcome video is great. It’s even better to have video testimonials from your clients, students, or customers on your hub. Build your own following, and showcase what makes you unique. 10) Do Something New. 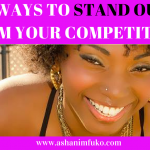 One of the best ways to stand out from your competitors online is to be innovative. I say, do what you see other people are NOT doing. Sometimes it’s just that simple. This may mean that you have to step out of your comfort zone, or learn something new, but it will be totally worth it! Last year, I created our tv show,“Inside New York City Dance”, because I saw a gap in the market. There was no tv show out there that specifically covered what’s happening in the New York City dance world. I saw the opportunity, seized the opportunity, and realized that this is something that no one else in the dance industry is doing right now. What a great opportunity to really stand out among a sea of dance-related companies and brands online. You can do it too. It may not be a tv show for you, but it could be something else. Host a contest, do a giveaway, create an iphone app, do a weekly livestream. Dance Teachers, create an online video pre- interview for potential dance studio employers, where you answer some basic interview questions, and send your potential employers a video e-mail, along with your headshot and resume when applying for a job. Now that’s something that most dance teachers wouldn’t even think to do. Dance studio owners, add some how-to videos to your website, or video testimonials from your dance students (both kids and adults), or create a custom Facebook landing page, with a special welcome video on it. Create a special iphone app for your dance studio. The list goes on. Do things that will differentiate you from the sea of dance companies and studios that are out there. You always want to have fresh content, new things to talk about and share with your online community, and new ways to get people excited and talking about your brand. Do you have any tips to add? Do you have a question or comment? Post it below. I’d love to hear from you! « I’m Featured In the August 2013 Issue of Dance Magazine (Pg. 56)!